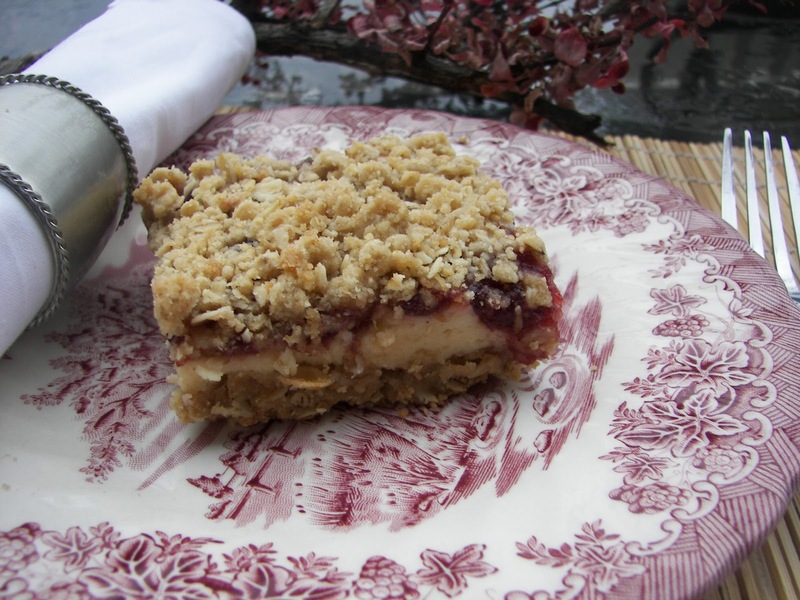 Red Couch Recipes: Cranberry Bars and Two Great Giveaways! I have been making cranberry bars for years, sometimes at Thanksgiving and sometimes at Christmas. I love the creamy, lemony middle topped by the cranberries. They whip up fast -- don't let the four layers scare you. From my Veteran's Day Tablescape. Preheat oven to 350 degrees. With mixer, beat flour, oats, brown sugar and butter until crumbly. Set aside 1-1/2 cups of mixture to top bars with in 4th layer, then press remaining mixture on the bottom of a greased 9 x 13-inch baking pan. Bake 15 mintues or until lightly browned. With mixer, beat cream cheese until fluffy. Gradually beat in sweetened condensed milk until smooth, stir in lemon juice. Spread over the baked crust (first layer). Combine cranberry sauce, corn starch and brown sugar. Spoon over cheese layer. Top third layer with reserved crumb mixture. Bake about 45 minutes or until golden. Watch carefully and do not overbake. Cool and cut into bars. Refrigerate leftovers. You can serve warm with ice cream. I like the flavor of them best the next day after baking. I think this may have been a Kraft recipe; I am not sure. 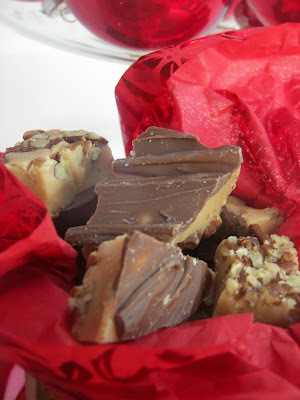 Here are two GREAT giveaways I found in blogland! Click HERE to be directed to Our Family Treat's Nordicware Giveaway. I am a huge fan of their seasonal pans. 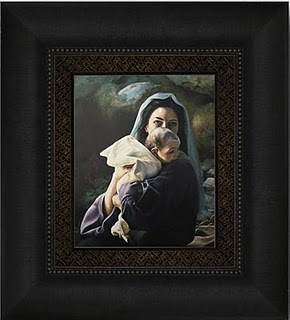 Click HERE to be directed to a giveaway, sponsored by Bringing Peace into the Home, of the print "Be It Unto Me" of Liz Lemon Swindle. She is giving away five of these prints. Wouldn't you love to have one in your home this Christmas? Today, I am simply thankful for central heating. It was cold yesterday and it was the first time we turned on the heat this season. How convenient, and luxurious, it is to just flip a switch and there is lovely heat surrounding you in minutes! I have lived in a home, where for economy's sake, that we heated mainly by a woodstove. I didn't enjoy building a fire, stoking the fire, and taking care of the ashes. Heat is just something we take for granted! Those cranberry bars look delicious! 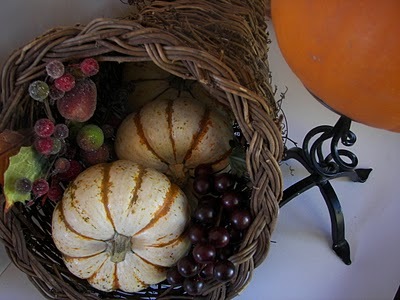 I'll definitely be making the bars - love cranberries, and we have great local cranberry farms. oh yummy, I could bite into that about now!! I will be making these for sure!!! Thanks for sharing. Um...yummy! I love cranberry, and lemon! I am printing this page off!!! I'm gonna have to give these a try;) They sound delish!! 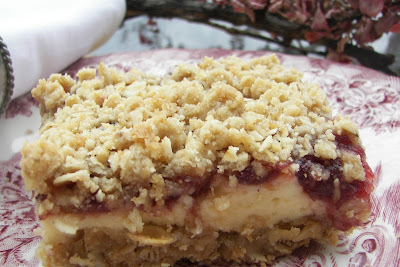 I love cranberries and that dessert looks delicious...I am going to try this one for sure! Oh boy! I love cranberry! Look so good! Joni, thanks for this luscious recipe. I make a very similar pumpkin crumble bar, but I like the idea of tangy cranberry with the creamy layer. I'm going to try them soon! Those bars sound delectable, thanks for sharing the recipe...they will be on our Thanksgiving menu. Gotta copy this one. Hubby will love it!! Those bars look amazing! I love the crumbly topping! YUMMY! Did you save me some? I don't think I have ever had these. They sound delish! I will be hungry this weekend if you are around, actually I am hungry right now! Make the pumpkin beer for your family for Thanksgiving! 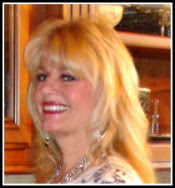 They will have another thing they will expect from you for Thanksgiving dinner each year! They some delicious, Joni! I love the sound of the lemon and cranberry flavors combined! I'm grabbing a copy of this recipe. Thank you! I cannot wait to try these. I love cranberries...in all forms. 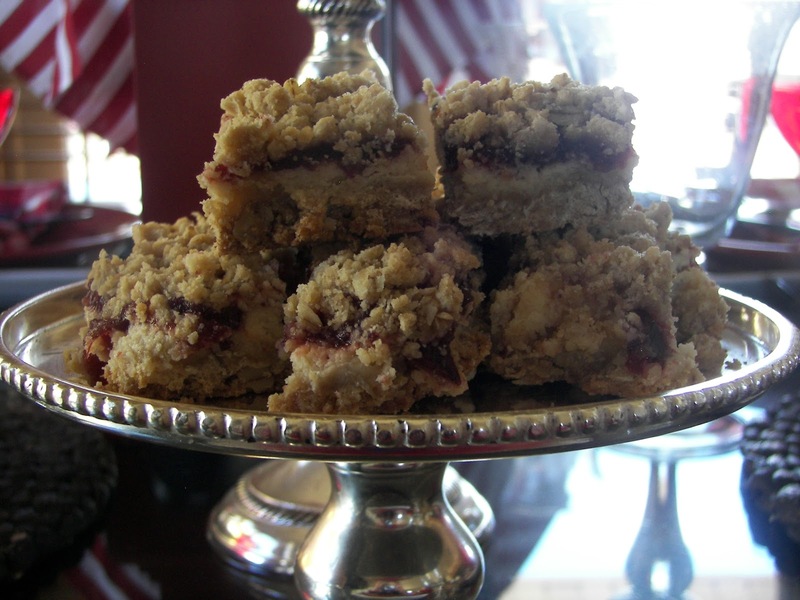 Cranberry Bars are one of my seasonal favorites but I've never seen a recipe for them. Will have to give this a try. Thanks and Happy Foodie Friday. I like your recipe so much better than the one I've been using, Joni. That cream cheese layer looks scrumptious and I would love the lemon with the cranberries. Bookmarked! These look so good! I'm saving this for sure! Thanks! They look delicious, and the pear cake too! I think I need to quit reading blogs...I was doing so well on my new approach to eating and now...oh my the goodness abounds!